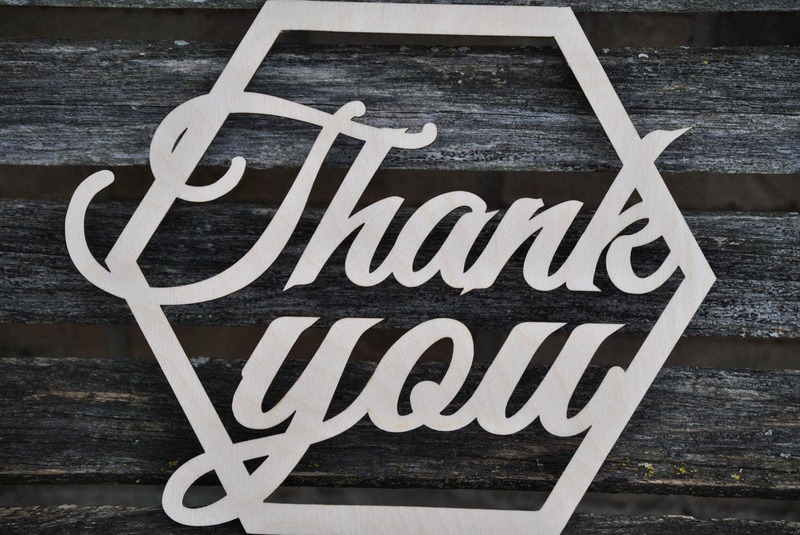 Thank You Wood Sign. Wedding Card, Decoration. Rustic. Custom, Personalized. 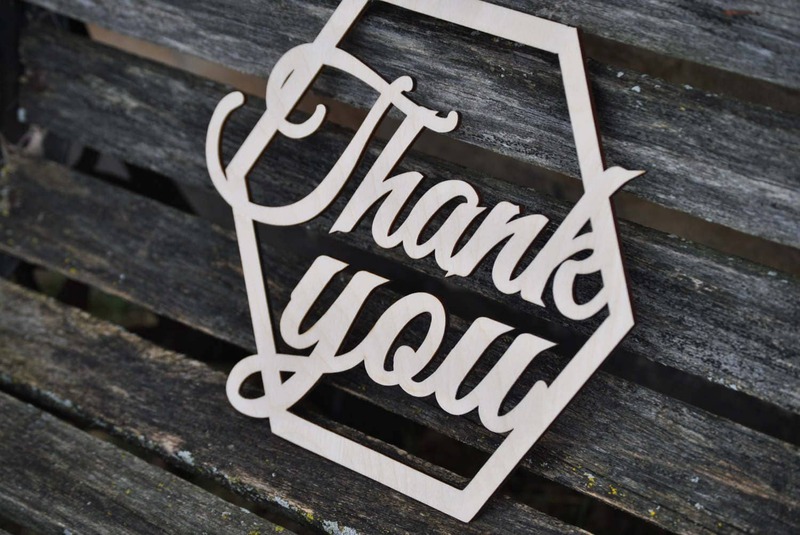 This listing is for a wooden, hexagon sign that says "Thank you". 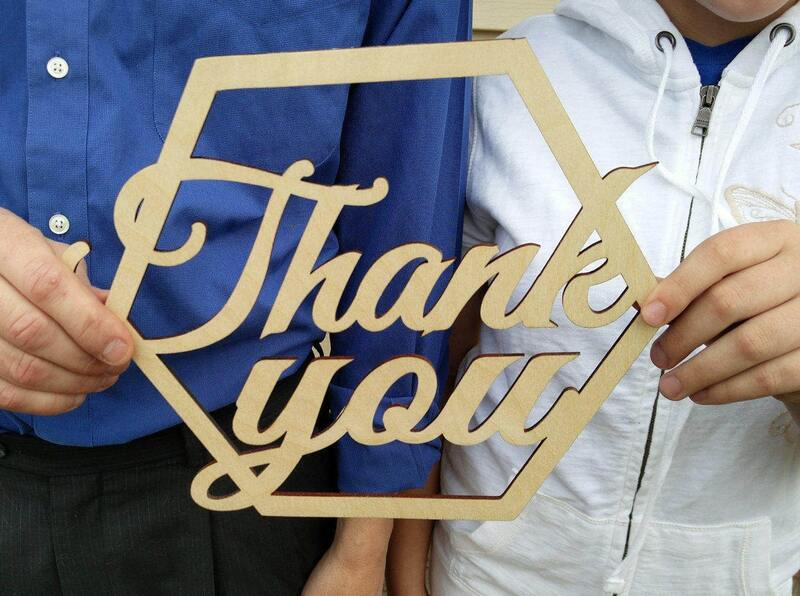 It is laser cut and made from birch wood. 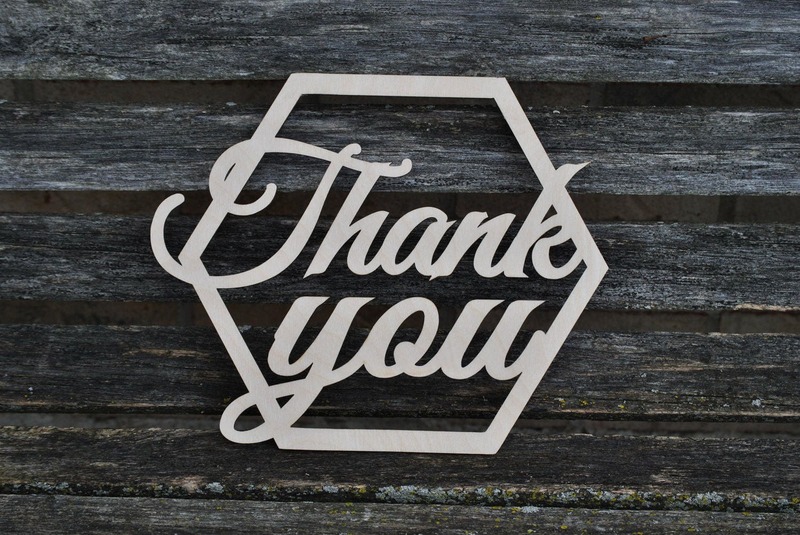 The sign is a great prop for wedding thank you cards or anywhere else you want to use it. The sign measures 11" x 9" and is nice and lightweight. These can be personalized with names or other words. Please contact us if you would like a custom order.